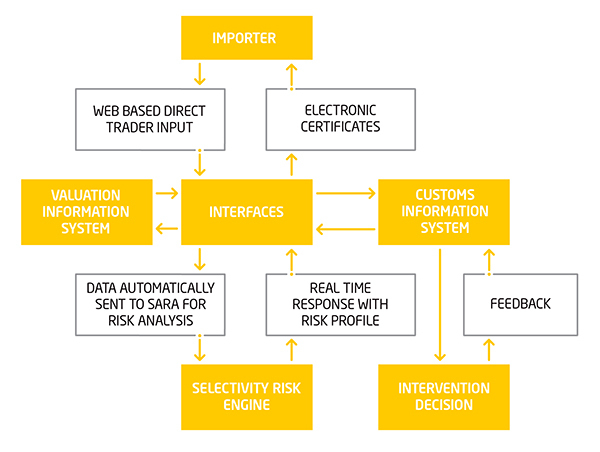 Intertek ADVANTAS™, the Advanced Trade Assessment System brings together a range of new Customs tools and technologies. Intertek ADVANTAS™ can deliver a step change in performance without compromising trade. a world-wide Valuation Information Programme which is continually updated and enhanced. a range of web-based Direct Trader Input tools which can be linked to existing Customs systems. a secure Electronic Certificate, that can be emailed, printed, and faxed, but which contains exceptionally high levels of encryption to ensure the contents cannot be changed. All four modules have been developed with connectivity as a central consideration which means that linking with a range of different Customs systems including UNCTAD’s ASYCUDA is unlikely to present a problem.